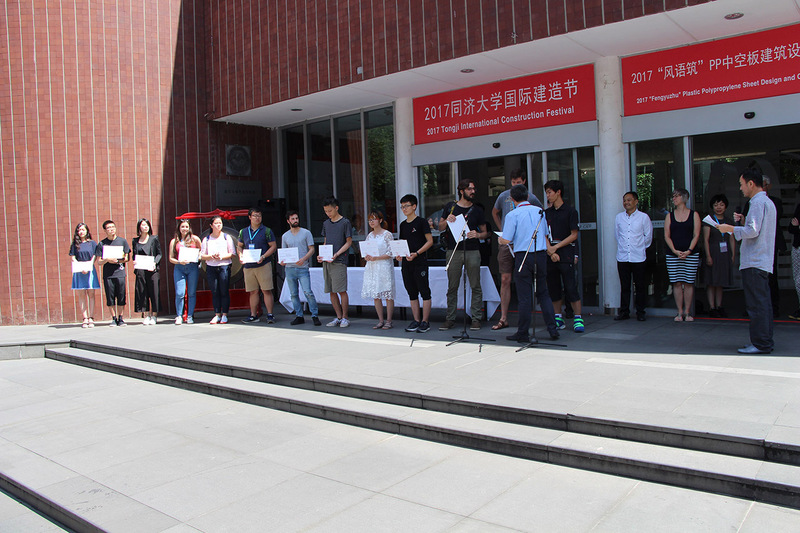 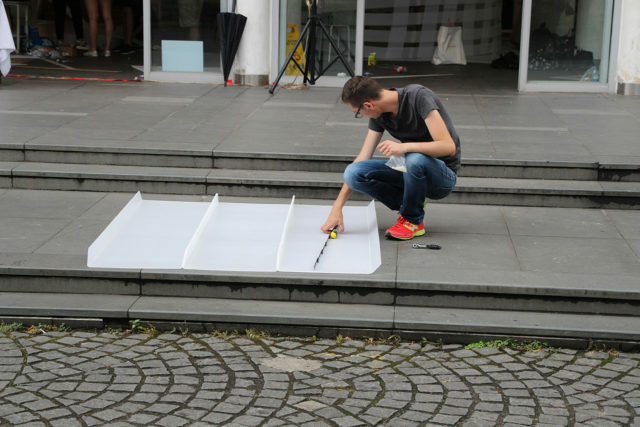 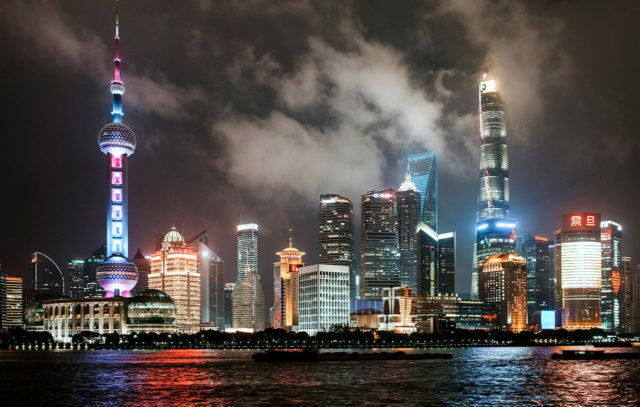 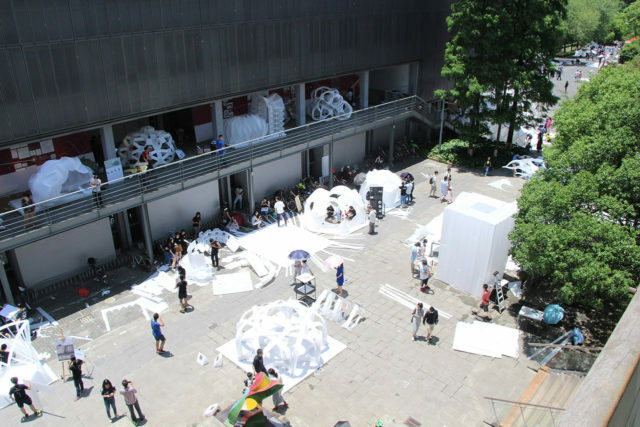 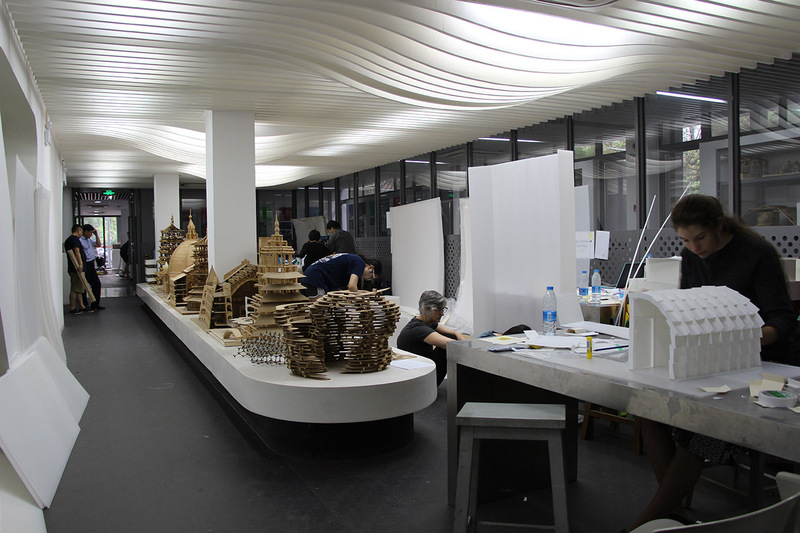 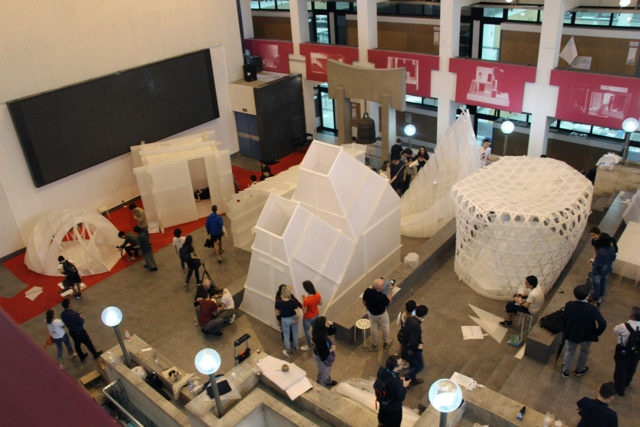 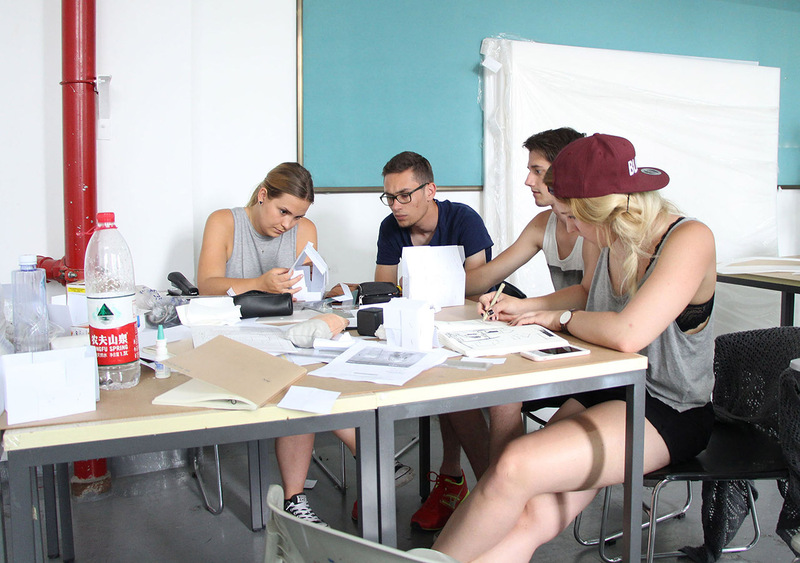 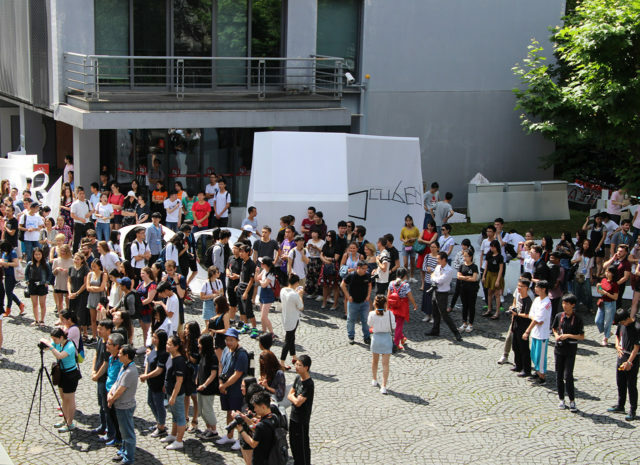 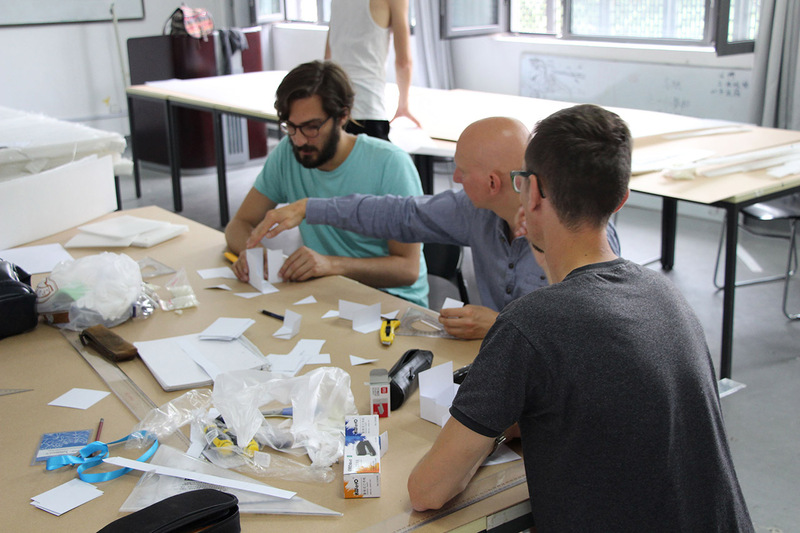 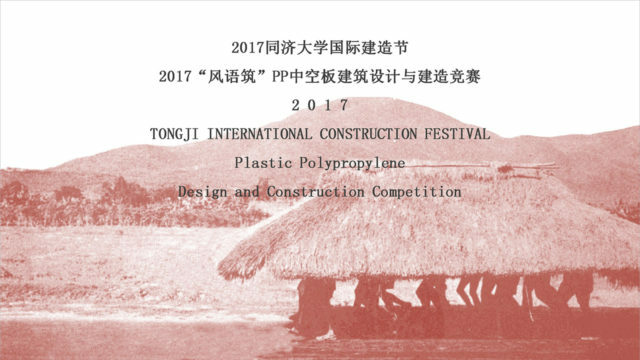 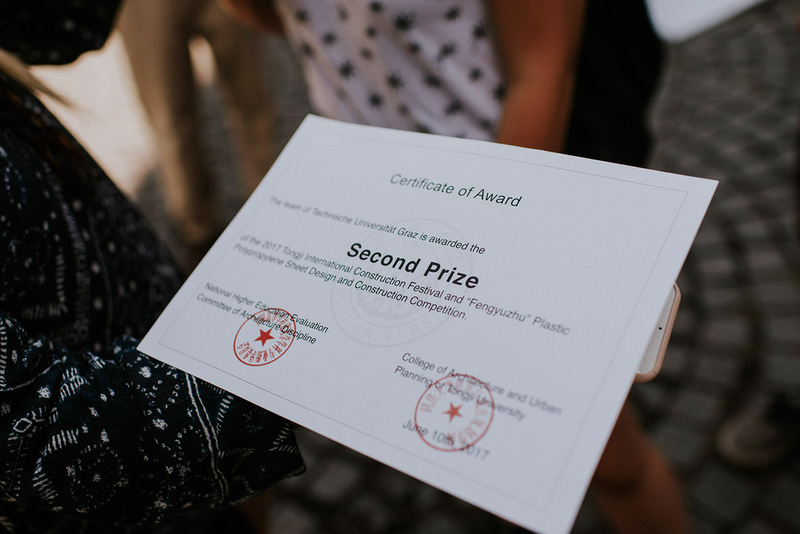 For the second time a Team from TU Graz participates at the „International Construction Festival 2017“ of the College of Architecture and Urban Planning, TONGJI UNIVERSITY, Shanghai. 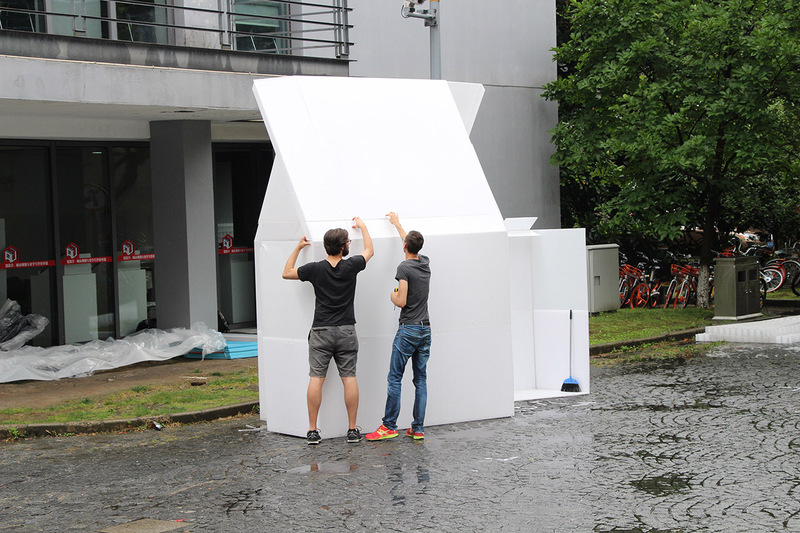 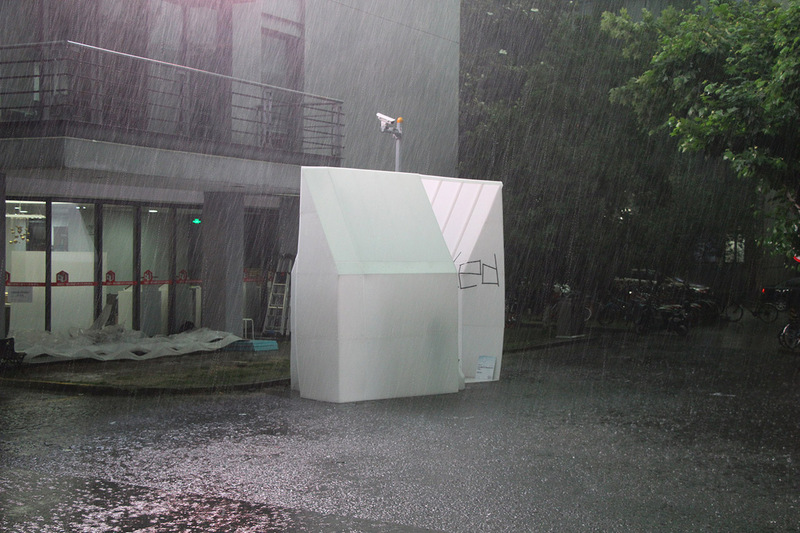 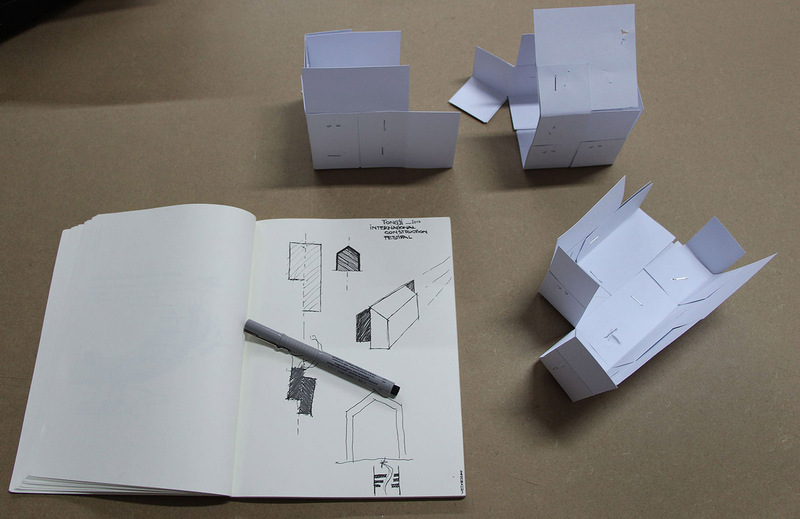 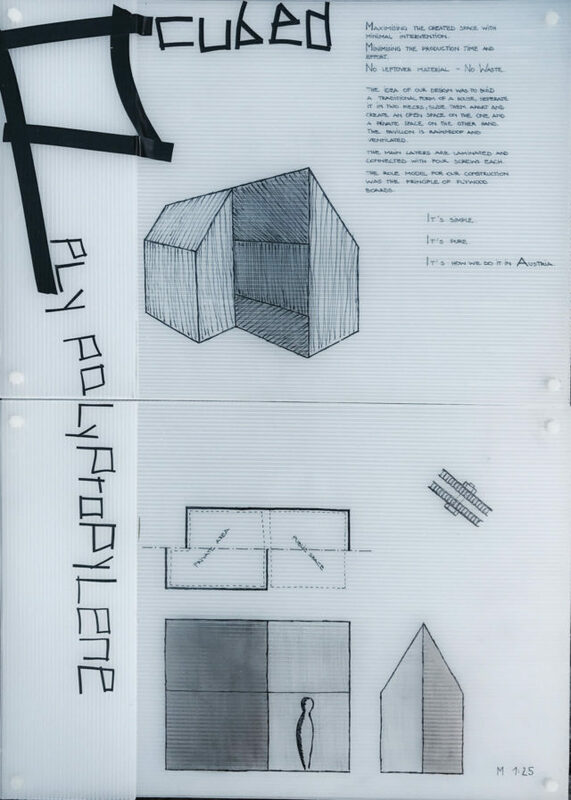 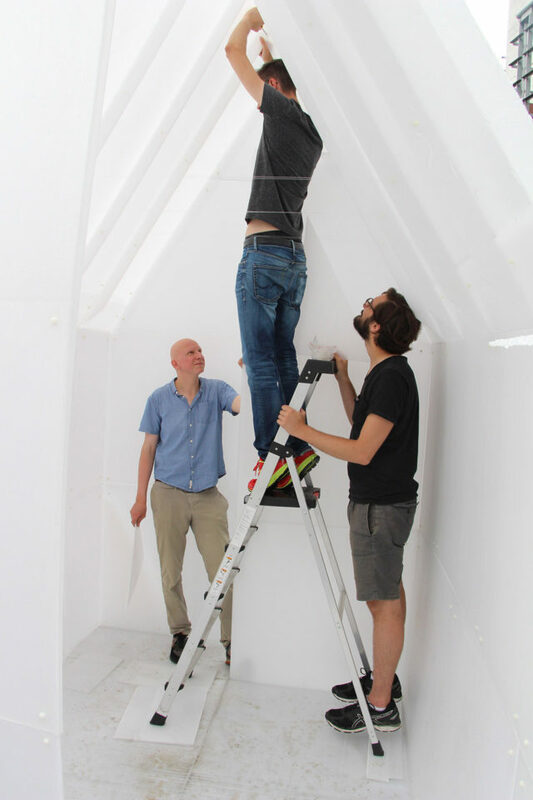 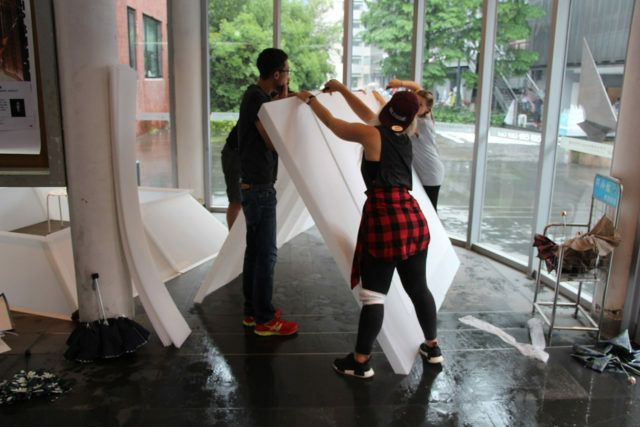 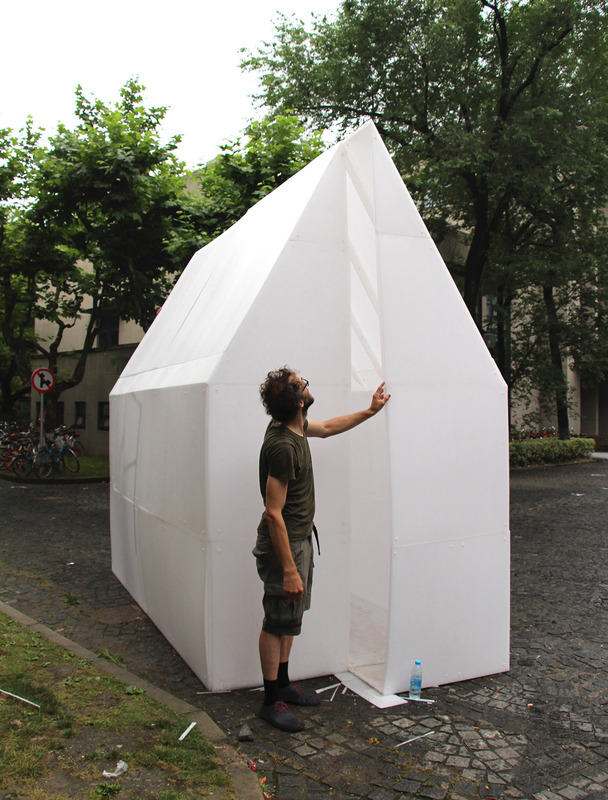 The project „Pcubed: ply-polypropylene“ was inspired by the structural principle of plywood. 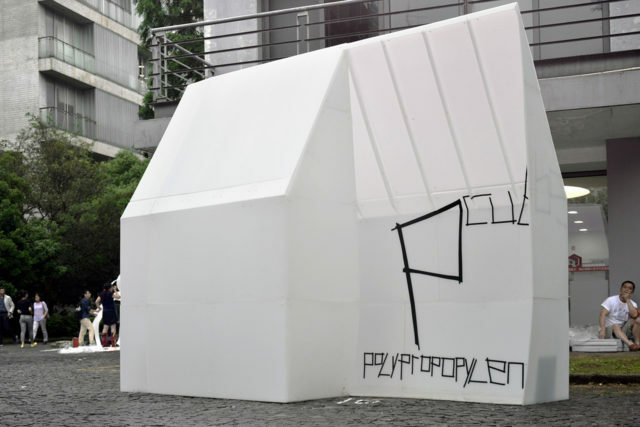 Because of the asymmetric structure of the polypropylene sheets the Team combined 3 cross-wise layers of the material to enhance its structural abilities. 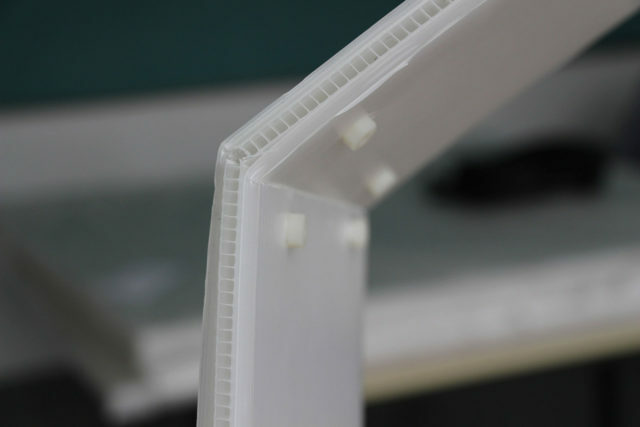 Based on this principle the construction was built up by interlocking sheets of polypropylene in order to form a strong and continuously watertight structure. 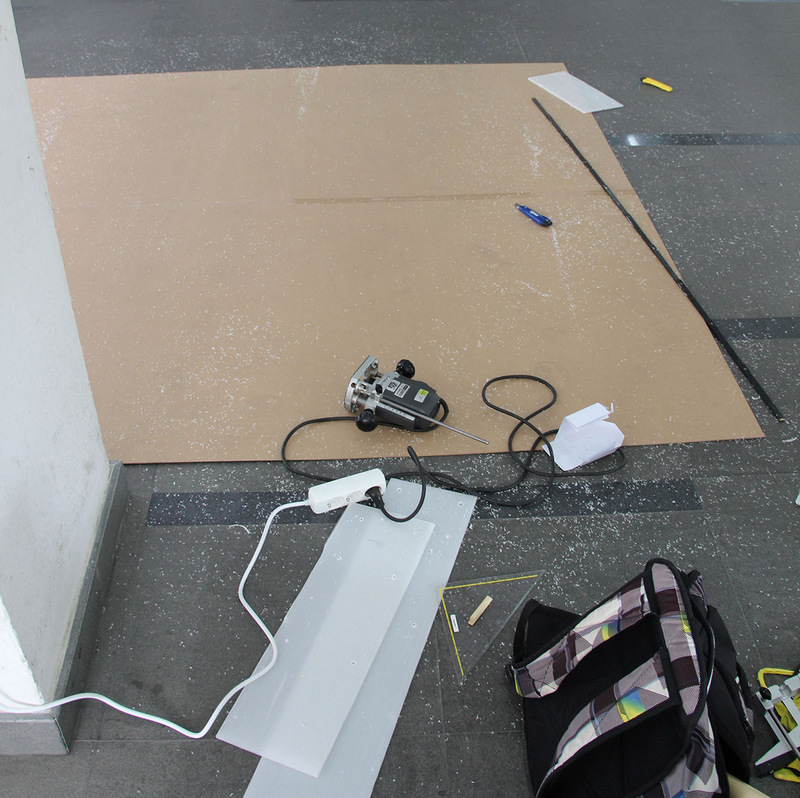 All gaps from sheet-joints were covered by at least one other layer of the material. 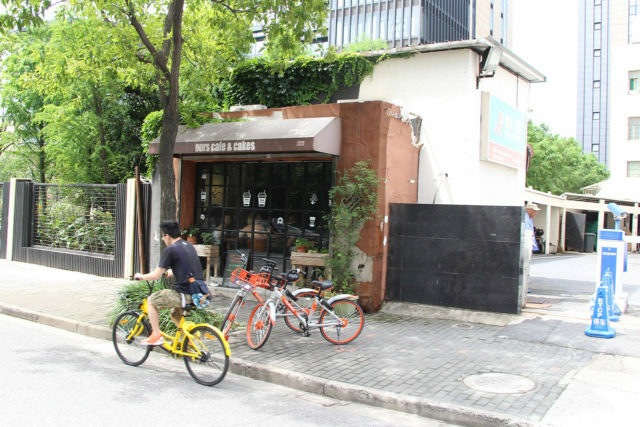 The design is based on the archetype of a house with a gabled roof. 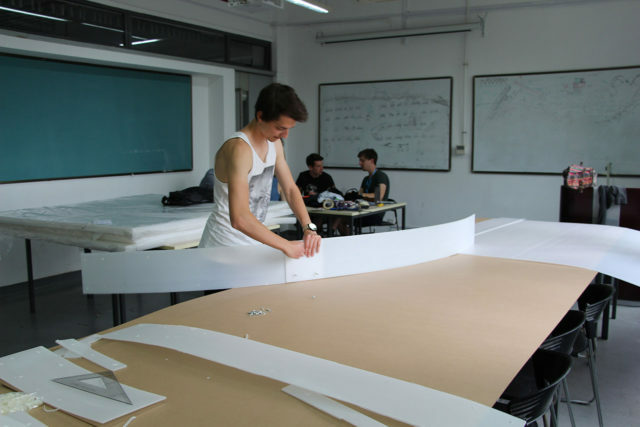 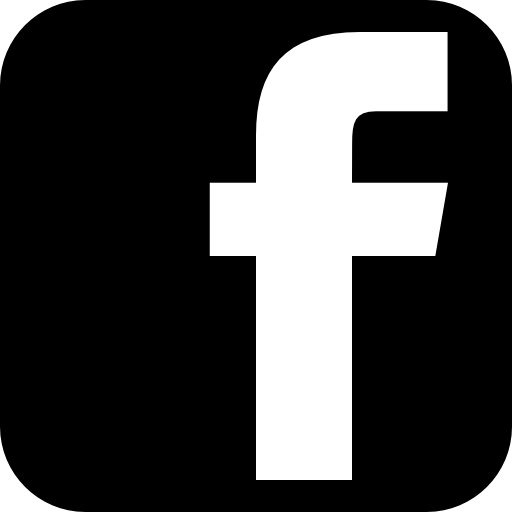 The building is cut length-wise and one half is moved longitudinally and elongated. This intervention creates a continuous transition from a public space to a private interior. 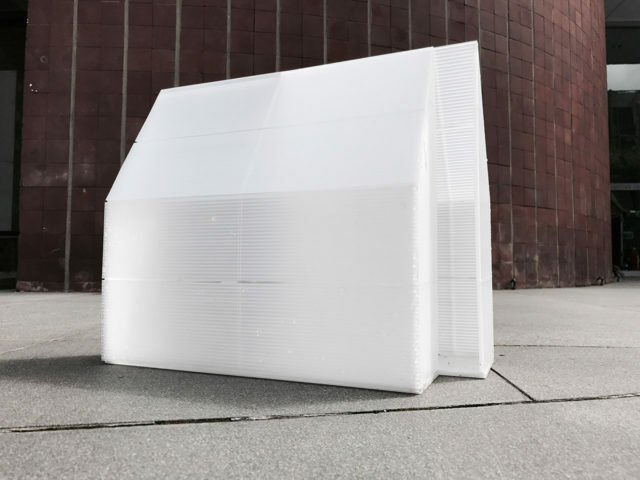 The building is lit through the translucent material and can be cross-ventilated through the openings on both short sides. 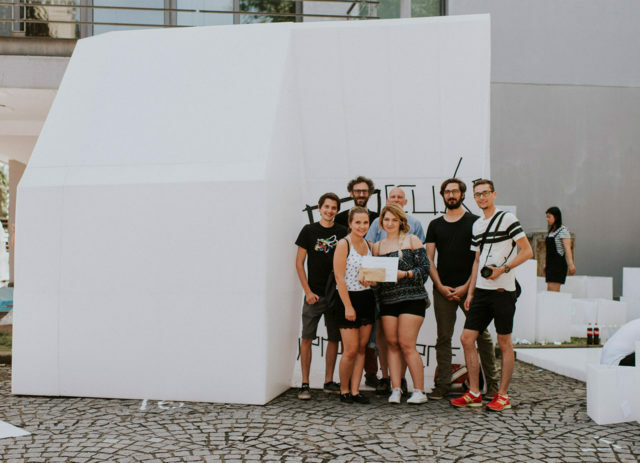 In order to be as sustainable as possible the project from TU Graz produced almost no waste by avoiding left-over pieces by design.